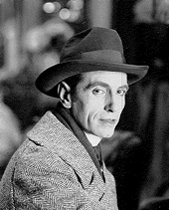 Bob Klein, born in Paris, France on May 16, 1880, was a silent film actor during the period of 1914 through 1934. He was also a well-known make-up artist, and costume designer. 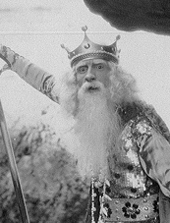 As a character actor he played everything from fiends, devils, chinese men, soldiers, indians, detectives, neptune and monsters. He was featured with such actors of the time such as Tom Mix, Ginger Rogers, Clara Bow, Wallace Beery, Pola Negri, Mary Miles Minter and often with William Russell. After Bob Klein's retirement, my father befriended him when he delivered Mr. Klein's laundry weekly to his hotel apartment in Los Angeles during the 1940's. When my father passed away in 2007, I inherited two boxes of Bob Klein's classic photos, memorabilia, and personal effects and correspondence that Mr. Klein had given to my father. I dedicate this tribute to Mr. Klein because he was kind and generous. I was always fascinated by the charcoal drawing of him in a distinguished-looking suit and hat that my father kept on our living room wall during my childhood. When I was in quarantine at Children's Hospital about 1952 (later diagnosed as salmonella), Mr. Klein came to visit me in the hospital and paid for the hospital bill. When I saw him peeking through the isolation window of my private hospital room, Mr. Klein was dressed like an old sailor in a peacoat and captain's hat. He frightened me because I did not recognize him dressed like that. Later I was told that Mr. Klein had come to visit me in the hospital.